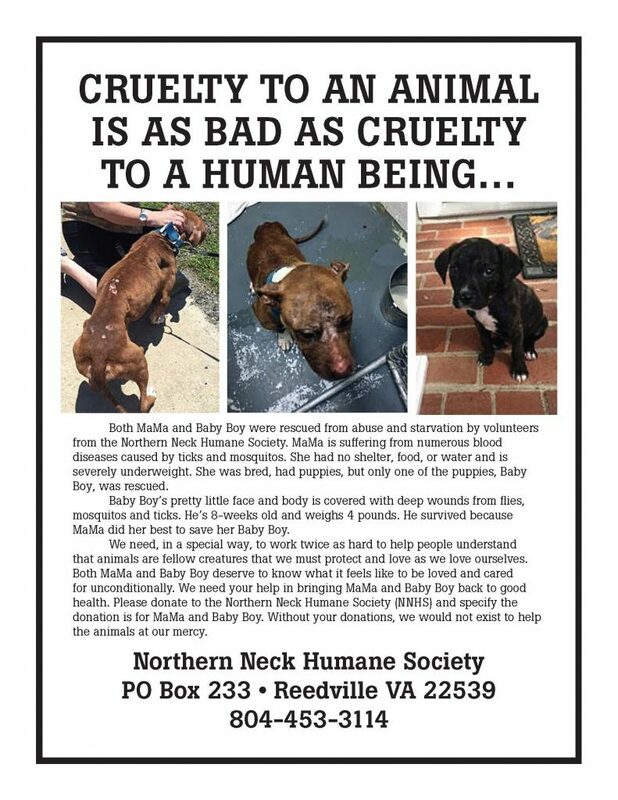 We took in 2 abused dogs: a mother pit almost starved to death and her little 8 week old puppy who was under weight. He weighed 4 lbs. The dogs now known as Maggie and Rascal will be available for adoption after medical care and gaining weight.